An ad hoc meeting of Urban Sketchers brought 8 of us together in the burgeoning neighborhood of South Lake Union. We met at the coffee shop across the street from REI's flagship store, but most of us headed down Yale Street one block to "that (Greek?) 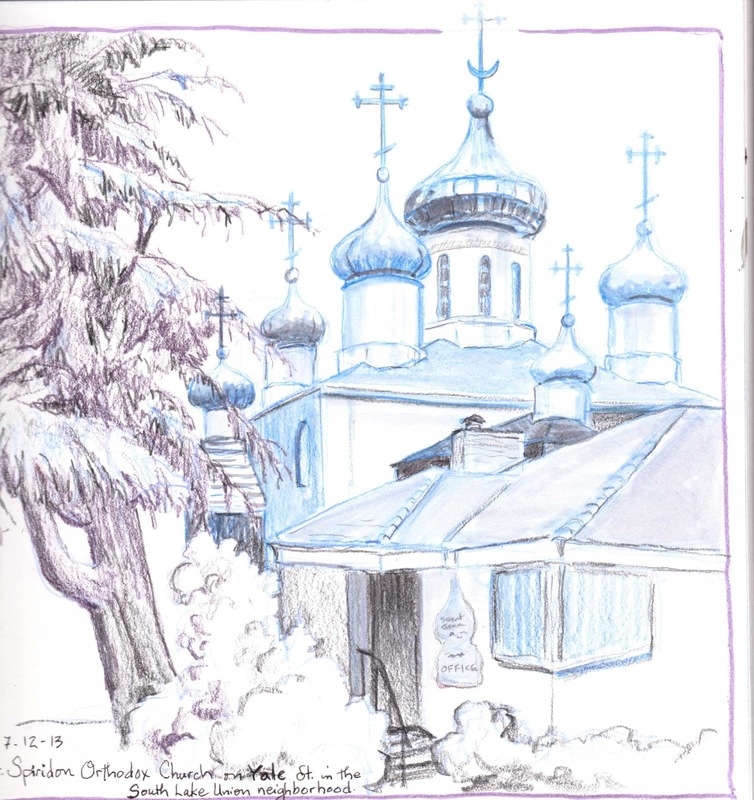 Orthodox church with the domes!" 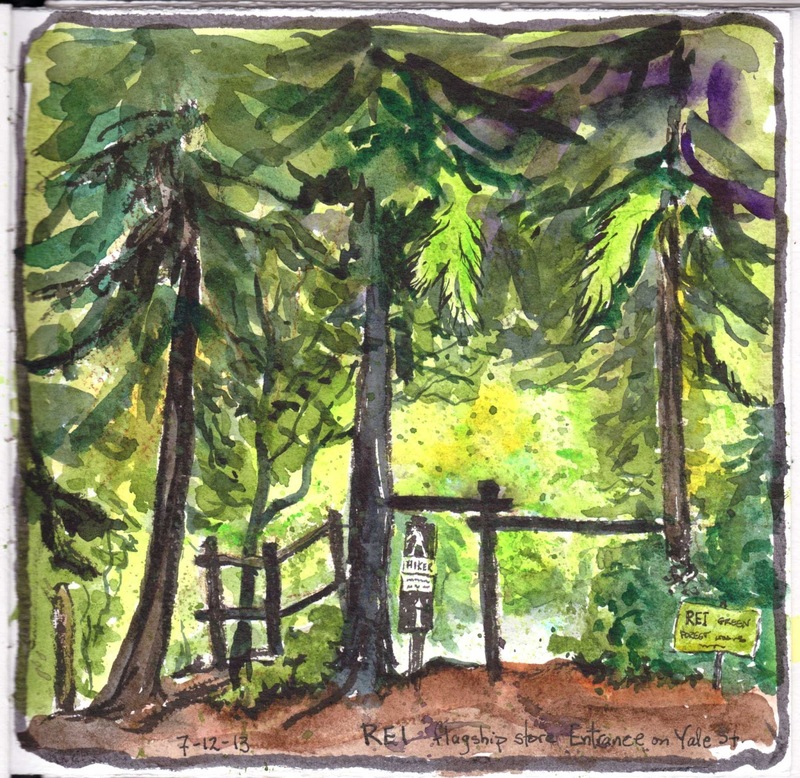 I had gotten there early and made a couple sketches of the church, so after a quick watercolor of the "wilderness" green space of REI, I headed back to the church. All those onion-shaped domes, and the multiple roof lines! I resorted to using a blue pencil to sketch for placement. Then I added a blue w/c pencil, and some regular prismacolors. I had thought I might add some watercolor, but first I reached for my Tombow neutral shade makers. It was a pleasant surprise to see that the water-soluble markers picked up some of the blue from the w/c pencil. Hmmm, I may have to "play" with this technique some more. Peggy you really got the sense of light. Thanks, Gail. That's what caught my eye!